The Padgett and King Mortuary was founded in 1903 by T.R. Padgett and his brother-in- law, Grover King on the square of Forest City. The enterprise began operations as a furniture company and later added the services of a funeral home. About a year into the business venture, Mr. King sold his interest to Mr. Padgett and went on to pursue other interests. Mr. Padgett's interest in the funeral business came as a result of buying the Florence Mill Company Store which had a number of caskets in stock. Also, in his furniture business, caskets would be shipped in and it would be the responsibility of the furniture store owner to install the interior and linings in the caskets and to place the handles on the outside of the caskets. In selling the caskets to families Mr. Padgett saw the need to establish a business to provide this type service. He purchased his first horse drawn hearse in 1916, but most of his work was still completed in the homes of the deceased. It was not until the 1920's that he established his first funeral home facility. It was located at the site of the present funeral home. He operated in this facility until 1932 when the present structure was constructed. More than 100 years following its inception, Padgett and King remains the oldest mortuary in Rutherford County and the oldest business operating under its original name in Forest City. Along with furniture and funerals, the mortuary also operated Padgett and King Ambulance Service until 1973. The company has had a succession of family to carry on the Padgett and King enterprise. James T. Padgett, son of the founder was the President of the company for many years and earned a reputation for honest and professional service. Likewise his cousin, D.G. Padgett served as company President as did Ron Guy, son-in-law of James Padgett. With the help of longtime employees James Collins, and Shane Earley, Padgett and King continued to serve Rutherford County. 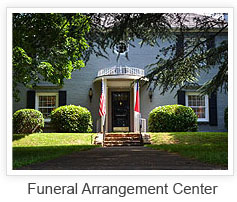 In 1989 upon the death of Mrs. Elizabeth Padgett, widow of the late James Padgett, the funeral home was sold to Ron Guy and Shane Earley who formed a partnership which lasted until the death of Ron in 2005. It was at this time that Shane Earley purchased Mr. Guy's interest in the company and became the sole owner. Today, Shane Earley serves as President of the company, Steve Herndon as Vice-president and the staff, Jeff Braley, Cam Earley, Dennis Matheny and Deven Dufford continue to carry on the tradition of caring service that has made Padgett and King a household name in Rutherford County. Today many changes have taken place to improve our historic facility including the recent addition of our Care Center which is comprised of a new Embalming Facility and on-site Crematory.